Taco Bell offers tasty Tex-Mex food that will satisfy everyone in your life! From delicious, traditional tacos, burritos, and quesadillas, to more out-of-the-box fan favorites, such as the Doritos Locos taco, Taco Bell makes a great choice for gift card giving. Also, with new healthy options on the Power Menu, vegetarian options, party packs, and discount cravings, a Taco Bell gift card or egift card can be universally loved. Purchase their gift cards in bulk for incentive programs, employee rewards, consumer marketing, and everything in-between! Lastly, Taco Bell’s rewards program includes exclusive offers and faster checkout, making your experience even better! 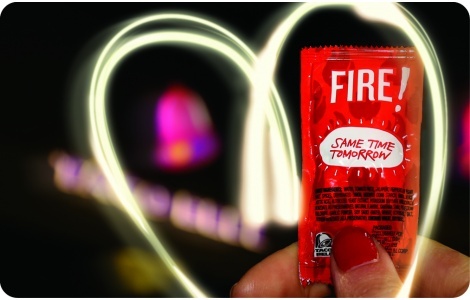 National Gift Card is the best place for you to order Taco Bell gift cards in bulk. We are the experts in all things gift cards and can set up your gift card solutions program for you today. Please contact us for more information on Taco Bell bulk, direct-to-recipient, or individual gift card fulfillment for your gift card program. Contact us online or call us at 888-472-8747 today.